The UK is a highly recommended study destination and the second in the world. It hosts over thousands of international students and four, out of the UK universities that featured in the QS world university rankings in 2018, came up in the top ten. The system of education in the UK universities are similar though not all the same. They sometimes vary in different countries. Oxford University stands out among all the most prestigious universities in the world. It is also the oldest University in the UK. Great minds like Stephen Hawking and other countless famous figures studied here. Many of its colleges, about thirty-eight in total welcome visitors and give them tours around where they get to learn about the history and architecture of Oxford University for free or for a small fee sometimes. In 2017, Cambridge University ranked at number one in the University League Table. It is one of the top universities in the country and is fifty miles north of London, just about an hour drive. 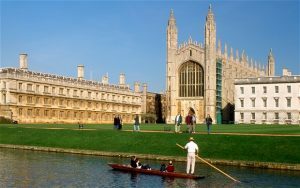 Cambridge graduates are among the most employable in the world. Leeds University was established in 1904 and is one of the largest higher education institutions in the UK. It was originally the Yorkshire College of Science and a member of the Russell Group. Jack Straw, a former secretary of states is one of the notable alumini of Leeds university. It is a ten minutes walk from the city center, and is based on a single campus. Cardiff University is a popular university in the UK and is most recognised for its teaching and research. It is in the centre of the city and was founded in 1883. You will find the city interesting too, because it is an inexpensive city and suitable for students with its recreational and cultural amenities.